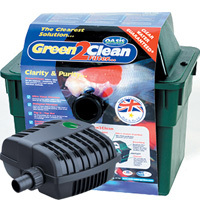 The Green 2 Clean 3000 UVC filter is matched with the Pondovario 1500 Filter Pump. 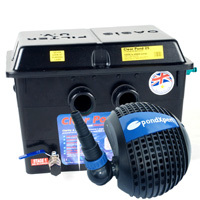 This set offers great value for money an will keep small ponds up to 2270 litres (500 gallons) clean. 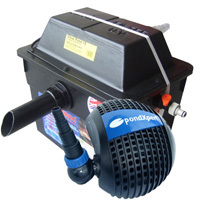 This filter/pump system is even good enough for koi (reduced max koi pond size of 4500 litres).